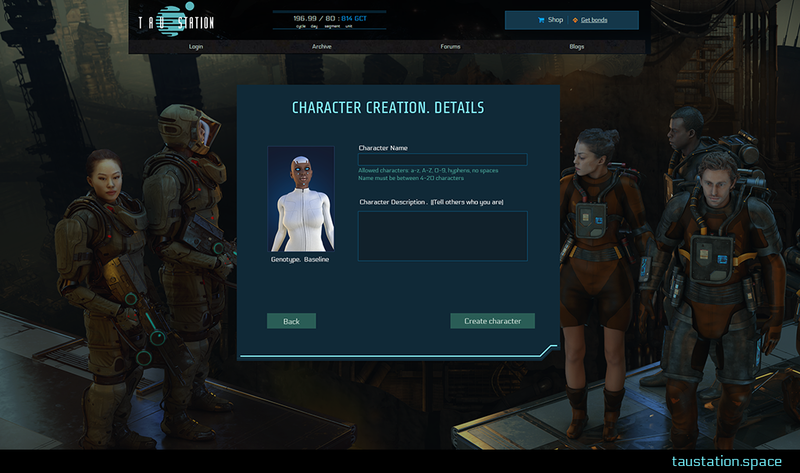 Soon, you will be able to choose how your alter ego in Tau Station looks; Avatars are about to be introduced! The display and use of avatars will affect many UIs in the game, and in order to shorten the waiting time, various updates will complete the complete avatar feature step by step. Today, you can enjoy first impressions about what the team has been working on, but there is so much more to come. Present Citizens: How to select your Avatar? 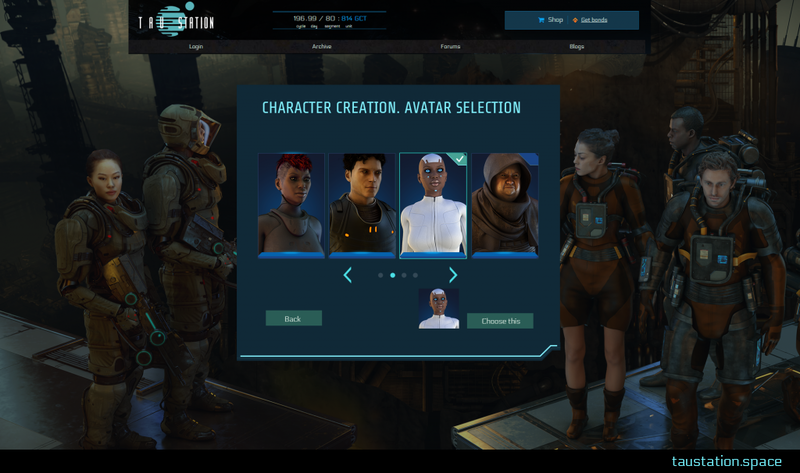 With the first part of the avatar update, all existing Tau Station citizens will be able to pick an avatar. 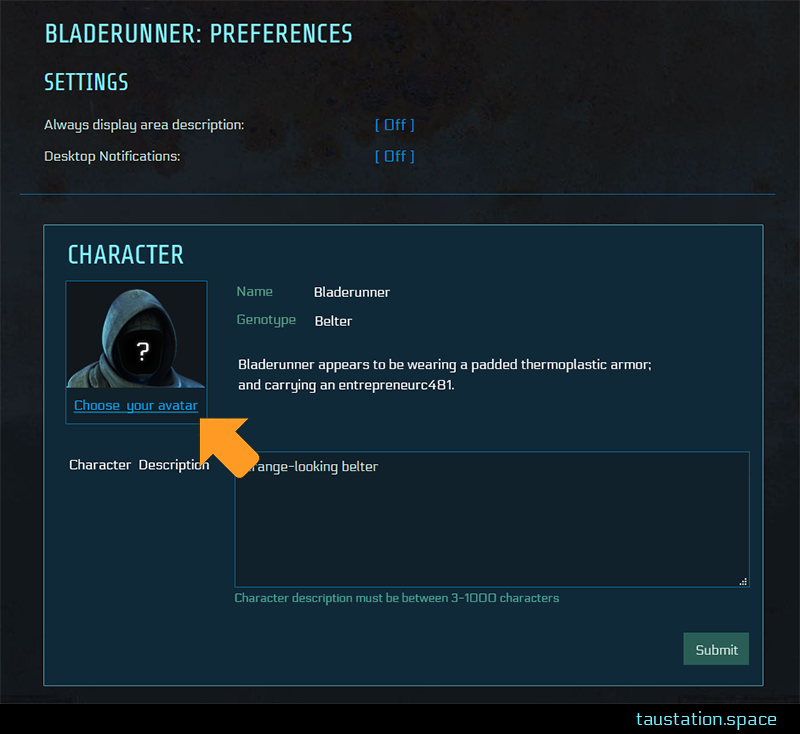 Currently, the dev team is improving your preferences page and adding the option to choose your first avatar. And yes, you’ll be able to make further changes later too; you’re not forced to stick to a selection forever. Especially if you change your Genotype, you might want to reflect this with a different picture that meets the according characteristics. But with one of the next updates, the game start will be extended. 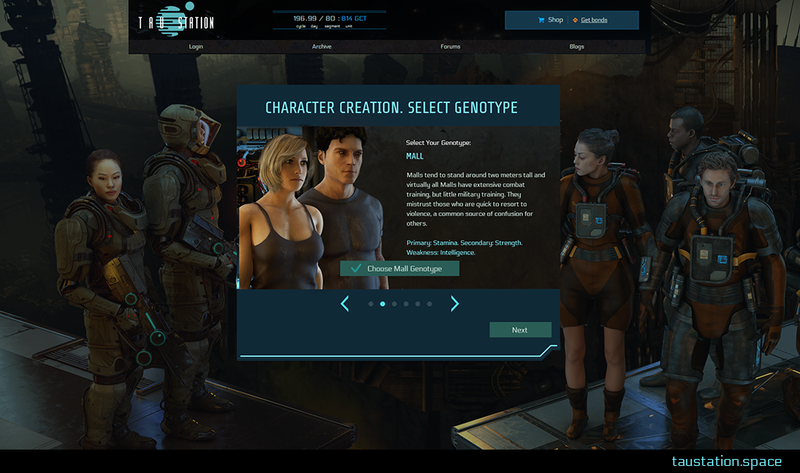 The first thing you do when you begin your personal adventure in Tau Station is the character creation. 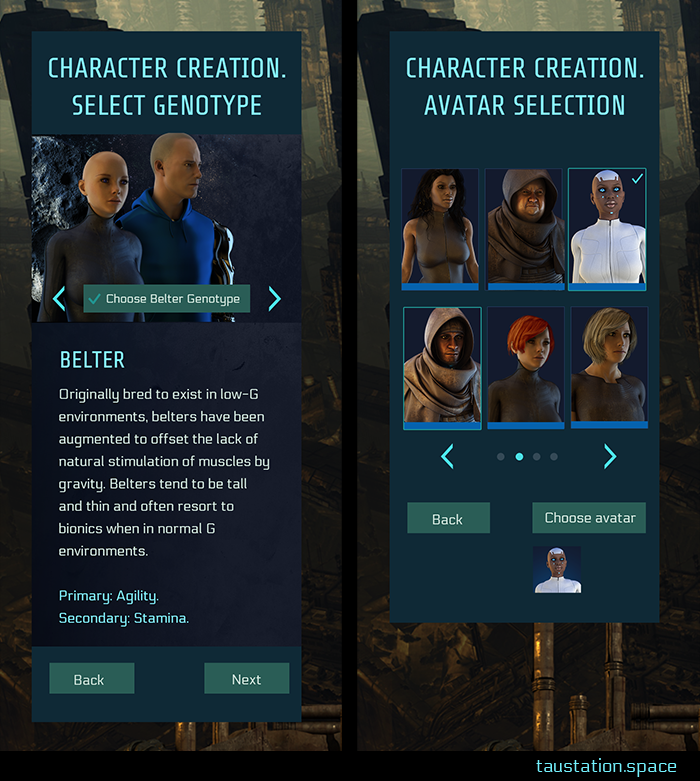 The current interfaces will get a graphics update and the avatar selection will become part of the onboarding process: it starts with the Genotype selection, followed by picking your avatar, and concludes with choosing your screen name. Step 3: Choosing your name and entering the (optional) description. On mobile devices, you perform the same steps, but in the mobile UI version. 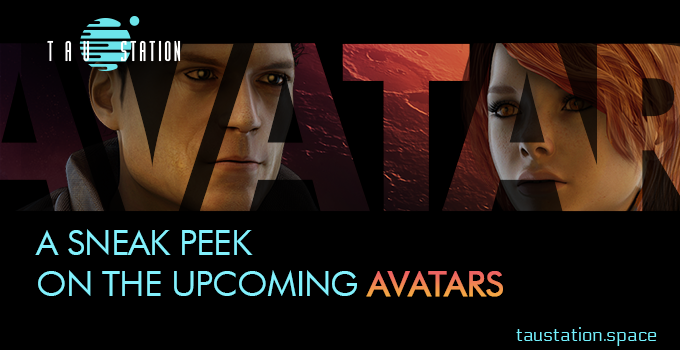 The avatars will be presented in various places in the game. We plan to add more assets over time to offer even more choices while also extending the variety for the Community. Most importantly, with the first part of this feature, your character’s image will be shown above the personal character summary (level, etc.). Later, the alter egos will appear in places like the Syndicate members list, combat, and so on… We’ll keep you posted and share more details and pictures soon!